Not a fan of waxing? Think shaving is a waste of time? If so, using an epilator or a women’s personal shaver which I like to call it, could be the perfect compromise for you. An epilator is an electrical device that can be used to remove hair. Unlike shaving, it removes the hair at the root but unlike waxing, skin cells aren’t removed. If you’re looking for the best epilator out there, this article is exactly what you need. I’ve taken the time to try out all of the leading brands and have come up with what I believe to be the top list of devices out there, including those that are best for your face, bikini line and for men. You’ll also be given detailed instructions on how to use your women’s personal shaver and have all of your epilator questions answered, like whether or not using such a device hurts and what you can expect with regular use. If you’re ready to explore this compromise of hair removal, let’s start with my best device list to help you narrow down the choices. After reading through my best epilator reviews, narrow down your choices more by deciding if you want a dual voltage epilator and deciding how important other factors are, like if you want it to be cordless or not. This will help you find the best product for you. If you’ve never used an epilator before, you might be surprised at all the steps that go into using one. But don’t worry, once you get past the newness of it all, you’ll be a pro in no time. Here are my favorite basic epilator tips, along with some specifics depending on what part of the body you’re using the epilator on. There are several areas of the face that you can use your epilator on, including your upper lip, chin and eyebrow area. Using an epilator on your face is going to be a bit uncomfortable. You might want to take an over the counter painkiller an hour or so before starting or use a numbing cream. The upper lip is the most common area on the face for an epilator to be used. It’s also the last place that you want irritation so be sure to hold skin taut and go slow. If you have embarrassing upper lip hair, using an epilator is the ideal method for removal. When using an epilator anywhere on the body, exfoliating is your best friend. Never skip this step! Trust me, because I tried and the results were less than ideal. My best tip when using an exfoliator on the majority of your body is to break it down into chunks. Doing your legs, arms, bikini area, underarms and more in a single day can be exhausting and painful. Work a schedule out that makes hair removable manageable instead of overwhelming. You should also make sure that you’re trimming any hair that’s longer than 5mm. You also want to hold skin very taught and hold the epilator at a 90-degree angle. Always glide lightly over the area and never press deep into the skin. Using an epilator on your legs is the best way to start with the device and get used to it. The legs are usually the least sensitive. When you first start, begin with the inner lower legs. This will get you used to the epilator and how it feels. If you start on the thighs or closer to the ankles, you’ll most likely experience more discomfort. Let your body get used to the device before tackling these areas. This is a great women’s personal shaver for someone who’s just giving the hair removal process a try. It has a wider head than most models so it removes more hair at once, which means less time and less discomfort. Because of this, I think it’s probably the best epilator for legs. I loved that you can use this shaver both dry and wet so it’s easy to customize your epilator schedule and keep your skin hair-free. The more I used this product, the less discomfort I felt. Eventually, using it on my legs in the shower felt just like shaving. This is a great women’s personal shaver for the price. It features 72 tweezer heads that remove hair effectively, quickly and comfortably. It’s also the first epilator on the market to offer Silver Ion Technology, which helps to provide antimicrobial protection. You’ll experience less irritation and infections, like whiteheads and ingrown hairs, with this technology. I found the Emjoi to be incredibly user-friendly and was able to use it everywhere on my body without any problems. This Philips epilator is definitely attractive and features a feminine design that I really liked. It has an efficiency cap that ensures gentle epilation in the most sensitive areas of the body and a two-speed setting to give you more control over your experience. The head is washable, which was very important to me. You’ll want to keep your women’s personal shaver clean to prevent infection and keep skin as smooth as possible. This is my go-to epilator for traveling. It’s compact but still delivers awesome results. The Epilady is rechargeable so I don’t need to worry about being plugged in at all times. It delivers an impressive 32,000 tweezes per minute so you’ll get the job done in a flash. It’s also a very comfortable experience, compared to other epilators. I really didn’t feel the tweezing as much as I should have, even in more sensitive areas like my underarms. If you’re nervous about discomfort, go with an Epilady. This Remington epilator has two speeds, with one designed for coarse hair and one for fine hair, making it ideal for anyone. It has a curved epilation head for comfort. Want to know a great trick for grabbing even the smallest of hairs? Sprinkle a little baby powder in the area and you’re guaranteed smooth skin with the Remington epilator. This is an awesome kit for the experienced epilator user. 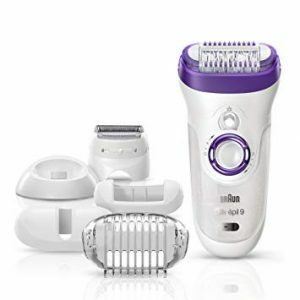 It comes with an electric razor and Panasonic epilator with 6 snap-on hair remover and pedicure buffer attachments. You can create an entire spa feeling in your bathroom with this! You’ll love the hypo-allergenic blades that come with. They’re great for more sensitive areas. I used mine for my underarms and never had an issue with bumps or irritation. A Panasonic epilator is a great investment, especially with all of the extras included with this kit. If you’re not sure if an epilator is for you, try out this version, which is a bargain. It comes with a pre-epilation comfort spray too so even if you’re a little nervous, you can rest assured that your first experience will be as comfortable as possible. If you plan on using an epilator for several areas of your body, you might want to invest in a more heavy duty version. But for the occasional use, this is perfect. This is a very stylish epilator that’s great for travel. It runs off of batteries so you can even keep it in your purse if you have a habit of missing areas of your legs before heading out (or is that just me?). 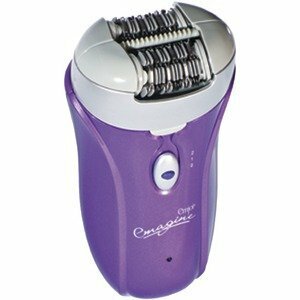 I had incredible results with this epilator. I didn’t need to retreat my legs for almost six weeks! This was one of my favorite epilators because of its shape. It was so easy to hold onto and gave me the control I needed to prevent irritation. It also has antimicrobial protection to keep bacteria away. I also loved that it ran off of a cord and could be charged for cordless use. It’s always nice to have the best of both worlds, especially if you’re always on the go. If you just need an epilator for your face, an Emjoi epilator is a great option. Their Epi Slim model is designed for the delicate skin on the upper lip, chin, bikini line, and underarms. It’s portable too so keep it in your purse just in case you need to use it on the go. Epilators are great for men, too! I recommend another Emjoi epilator for this scenario as well. The Emjoi Emagine Ap-18, already covered as one of my best overall epilators, is ideal for men who want to enjoy hair-free skin for weeks at a time. Because it’s a more sensitive area, you want to make sure that you’re using the best epilator for your bikini area. Always make sure that you’re trimming the hair before using an epilator in the area for best results. 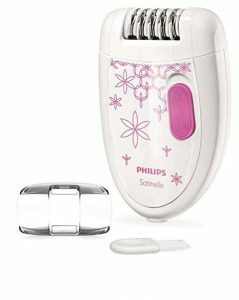 Out of my previous list of epilators, I would recommend either the Emjoi Soft Caress Epilator or the Philips HP6401 Satinelle Epilator. The Emjoi is easy to hold and gives you plenty of control while the Philips epilator features an efficiency cap that will prevent damage. When you use an epilator, the hair is removed at the root, not with the root. This means that you should have a few weeks of smooth skin before hair begins to grow back. It is a common misconception that removing hair will lead to it growing in thicker than it was before. The good news is that dermatological tests have proven that this doesn’t happen. It also will not grow back darker but it might appear like it is, only because if the hair removed had been bleached by the sun or by certain products, you might have assumed that your natural color was much lighter than it actually is. The most important step to complete before epilating is exfoliation, which will remove dead skin cells that can block the exit of the hair shaft. This leads to hairs breaking or being almost impossible to remove (hello, whiteheads and ingrown hairs) so skipping this step isn’t an option. You should exfoliate the day before using your epilator. After the procedure, wait a couple of days before exfoliating again but make it a daily habit. You can also prepare your skin by taking a warm shower or bath right before epilating. Just make sure the water isn’t too hot and use a neutral soap to prevent irritation. The water will help to relax the skin and soften the hair, leading to a more successful epilating process. Does Using an Epilator Hurt? An epilator does hurt for most people, especially the first time that they use one. The good news is that as your body gets used to the epilator, the pain should diminish. You could also be one of the lucky ones that only experienced mild discomfort or you might find that using an epilator is only uncomfortable in certain areas of the body, like the face or bikini area. If the positives of using an epilator are more important to you than the discomfort, you’ll certainly find a way to manage the pain and enjoy smooth skin. No hair removal procedure is without certain side effects, even plucking or laser hair removal. While most people are able to use epilators will little to no side effects, here’s a list of possible complications that can be a result of using an epilator. Redness: There’s always a chance for redness when using an epilator, whether it’s the first time or the tenth. Usually, this will happen immediately after use and shouldn’t stick around for more than a couple of hours. This is one of the main reasons that I recommend using your epilator at night so that redness and irritation won’t be a problem throughout the day. Bumps: If your skin is on the sensitive side, you might notice some small bumps pop up immediately after using your epilator. These aren’t ingrown hairs but they can be just as annoying and unsightly. Try using an anti-histamine or hydrocortisone cream to help them disappear quickly. 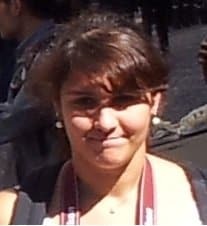 Whiteheads: This can be a common problem for some people. While their skin might just be prone to developing this minor infection, for some the issue is more that they’re skipping important steps, like exfoliation. Excessive exercise and tight clothing should also be avoided in the days following epilation because this increases bacteria and the chances of whiteheads developing. Swelling: Your legs and arms probably won’t swell after using an epilator but more sensitive areas of the body might, like the upper lip, underarms or bikini area. Ice is the best treatment when this happens and the swelling shouldn’t last very long. Bruising: This is a more serious side effect and should be monitored closely. If you find that you’ve bruised, wait until the area has healed before using the epilator again. When you do treat the area again, be sure that you’re holding the skin taut and try a gentler speed setting. If you still bruise, you might not be an ideal candidate for epilation. Ingrown Hairs: Ingrown hairs can occur with any hair removal procedure. If your epilator isn’t cleanly plucking the hair without breaking it, you’re at a much higher risk for ingrown hairs. Always make sure that your epilator is removing hair correctly and never skip exfoliating. You can also use a preventative cream on the area after treatment. If you have any side effects that are incredibly painful or don’t go away after a few hours, you might want to seek medical attention. Remember that this is incredibly rare though and most epilator users have wonderful results. Both of these hair removal methods should leave you with silky smooth skin but which is better? It really comes down to personal preference but here are the main differences. Price: Waxing, whether you do it at home or schedule an appointment at a salon, can definitely add up over time. With an epilator, you might pay more up front but it’s a one-time fee. Irritation: In my experiences, my skin tends to get a bit more irritated with an epilator compared to waxing. This is because waxing removes both hair and dead skin cells, leaving behind perfectly smooth skin. Epilating tends to lead to some red bumps and irritation but it’s usually very temporary. Effectiveness: This is really up to the individual. Both methods will leave your skin smooth for several weeks. Until you really get it down, using an epilator does take a bit more time, especially compared to a professional wax. But again, this comes down to personal preference. Once you get an epilating schedule down, I found it to be faster than waxing. If you’ve been shaving most of your life, you might have reached a breaking point. If waxing seems a bit too intense, an epilator is the best compromise. Here’s how the two match up against each other. Price: Like waxing, shaving costs can add up over time. 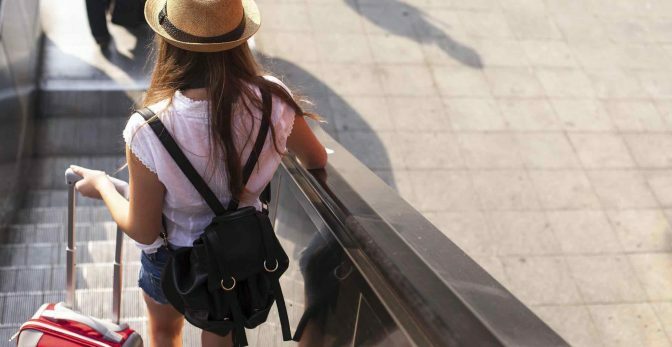 Razors are definitely not cheap and if you live in an area where it’s warm most of the time, keeping up with hair removal so that you can rock shorts on a daily basis can definitely get expensive. A good epilator can cost a bit upfront but then you’re in the clear. Irritation: Shaving doesn’t often lead to irritation, except in more sensitive areas like the bikini line or underarms. A simple over the counter cream can usually prevent this though. Overall, I did experience a bit more irritation with exfoliation but it was very temporary. Effectiveness: It’s no secret that smooth skin from shaving doesn’t last very long. This is usually what leads people to seek out alternative hair removal methods. Using an epilator will definitely leave you with smooth skin for days, even weeks, longer than shaving. This can vary by model so be sure to check the included instructions with your epilator to make sure that you are cleaning it correctly. But here are the basic steps to keeping your epilator clean, which will help provide you with better and safer results. Remove Epilator Head: Not all models will do this but it’s ideal. There is usually a release button. Brush: Your epilator should come with a brush to remove loose hairs. If you don’t have one, an old toothbrush or makeup brush should work just fine. Make sure that the epilator is upside down when you brush it so that you don’t push the hairs further into it. Use Compressed Air: If there are stubborn hairs in your epilator that won’t brush out, you might want to use compressed air to remove them. You can buy bottles of compressed air at most office supply stores. 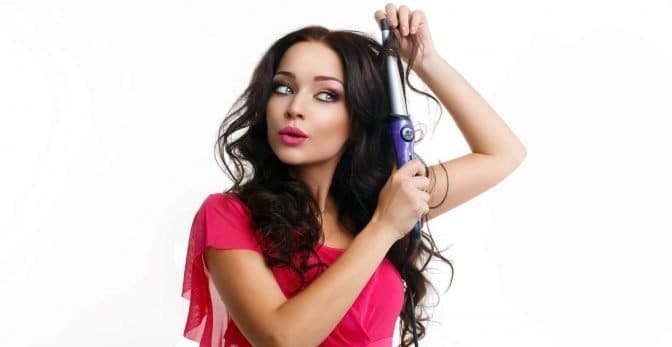 If you don’t have compressed air, simply try blowing on the area to clean the hair out. Clean Head with Water: If the head of your epilator completely detaches, take the opportunity to rinse it under hot water. This will help to remove any build-up from skin oils. Sanitize Head: Using a cotton ball dipped in rubbing alcohol, wipe through the tweezers and surrounding areas to remove bacteria. This will help prevent whiteheads and ingrown hairs. Dry and Assemble: Allow your epilator to completely dry before putting it back together. This will usually take a full day so make sure that you have the time before starting the cleaning process. If you keep up on cleaning your epilator and preventing buildup, it will last much longer, work better and you shouldn’t have nearly as many unwanted side effects. In a perfect world, you should clean your epilator after each use but if you can clean it at least once a week, you’ll be removing plenty of dirt, dead skin, oil and bacteria. And there you have it! Using an epilator takes a little getting used to. I’ll admit that at first, I was a little overwhelmed with the process and wanted to give up because of the discomfort that came along with the procedure. But after a couple of weeks, I really began to see the benefits of using an epilator and I have to say that I find it more effective than shaving and waxing. If you’re tired of shaving daily and don’t like the mess and pain of waxing, using an epilator could be the perfect solution for your skin care routine.